It's a 10 makes hair care simple! It’s a 10 accomplishes 10 things – instantly. That’s what makes it unique. What takes other hair care products multiple steps and bottles, It’s a 10 delivers all the benefits in just one bottle. Our guests and salon professionals rave about It's a 10 because it really has 10 benefits to keep hair healthy. We've put together our favorite It's a 10 products to use for each step of your hair care routine. From washing to finishing, It's a 10 has the perfect product for you! Make hair more manageable with a moisture rich shampoo and conditioner. 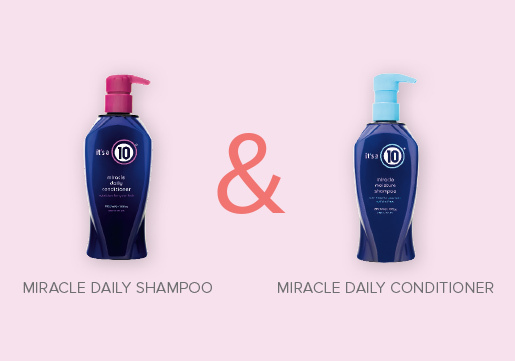 Try It's a 10 Miracle Daily Shampoo & Conditioner. Seal in moisture and prevent breakage with a weekly hair treatment. We love It's a 10 Miracle Leave-in or Silk Express Leave-in Conditioner. 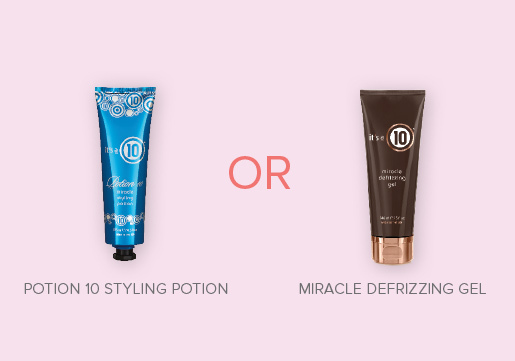 Get long lasting definition, smoothness and frizz control with It's a 10 Styling Potion or Miracle Defrizzing Gel. 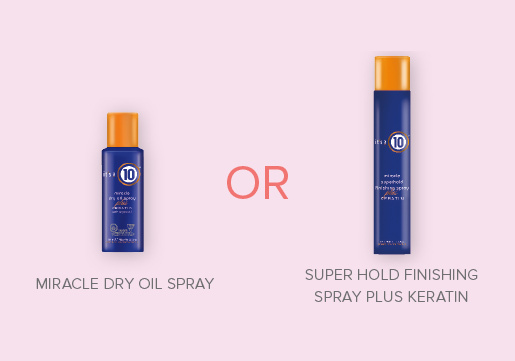 Add It's a 10 Miracle Dry Oil Spray for a glossy finish or seal in your style with It's a 10 Super Hold Finish Spray plus Keratin. If you're still not sure which products are best for you, but sure to ask your Hair Cuttery Salon Professional. They will be able to give you the best product recommendations based on your hair type and current hair condition. They didn't forget the guys! It's a 10 recently released He's a 10, a hair care and styling line just for men! Take advantage of our current Buy 1, Get 1 50% OFF It's a 10 sale. But hurry, offer ends 2/20! Have a great hair day from HC!